Home :: Media Gallery :: EVPs from other Investigators. Clips from the Internet audio broadcast analysis from the Warner Grand theater earlier this summer. This is for Journey Paranormal to download and use as needed. This album is for passing EVP evidence to friends and fellow investigators. 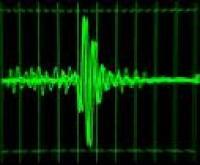 CarolAnn from New York submits this multiple answer EVP. The "Yeah" EVP. CarolAnn from NYC sent this in. WAV file format.